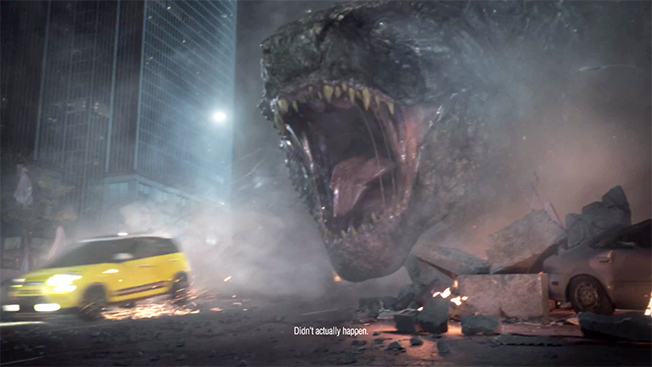 As if Italian auto brand Fiat hasn't had enough challenges in its recent U.S. reboot, the car becomes a snack for none other than Godzilla in this goofy but likable tie-in with the upcoming movie. The movie debuts May 16. It stars Bryan Cranston, who will probably fire his agent that day. Unless he wakes up in bed next to Jane Kaczmarek, relieved that this puzzling career move was just a bad dream.